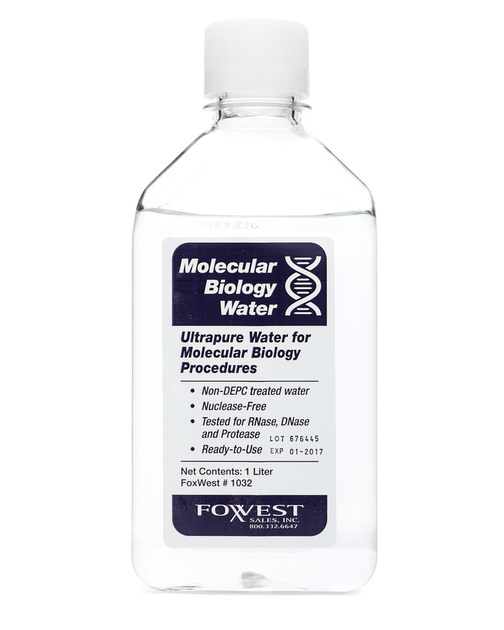 Molecular Biology water – ultrapure water intended for use in molecular biology procedures has been purified via deionization, reverse osmosis, UV, and ultrafitration. Non-DEPC treated water is nuclease free and has been tested for RNase, DNase, and Protease. Ready-to-use, requires no preparation.